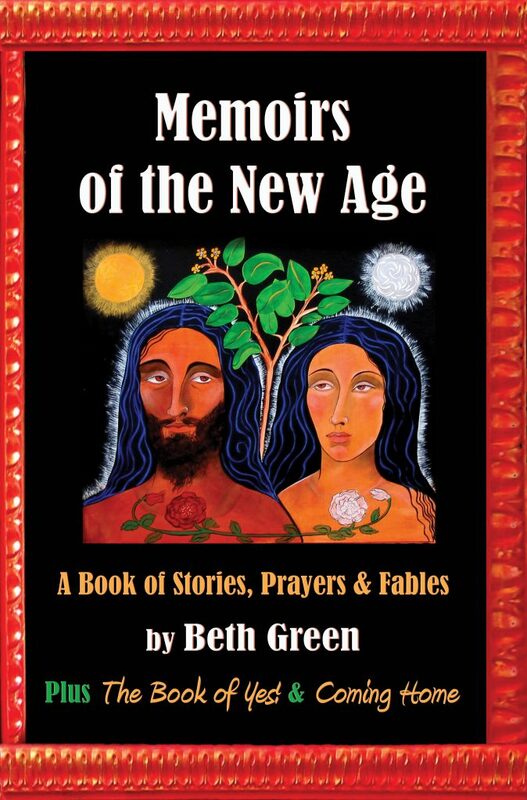 Beth Green’s unique spiritual teachings are offered in her extremely clear, well-written and penetrating books. Click on each cover image to learn more and purchase. In many ways, this is every woman’s story. 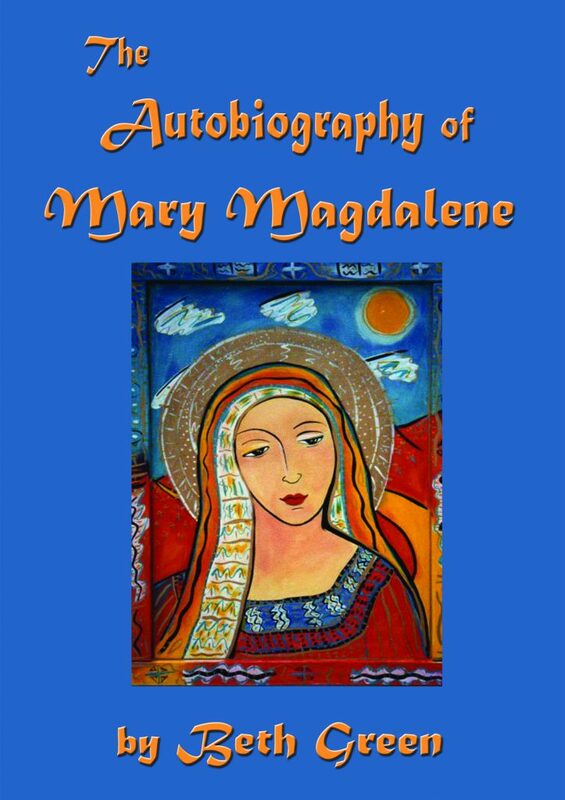 Way before the #MeToo movement, Mary Magdalene confronted sexual abuse and other forms of discrimination that many of us have also experienced. But this books emotionally impacts, who can identify as well. Originally published in 1989, this book provides a moving account of the life of Jesus’ main disciple. The gritty story of a woman who stood in the center of Roman politics and created a new movement of consciousness. A work that helps relieve humanity of shame and blame. Visit lulu.com to Buy Now. Memoirs of the New Age is a book of stories, fables, poems and prayers that highlight our struggle with life and “God.” The stories are delicious, humorous, emotionally wrenching, insightful and full of amazing twists and turns. The prayers are painfully honest, the poetry is sensual and expressive. This book received the iUniverse Editor’s Choice award. For more information, go to www.amazon.com. Available in Kindle form. 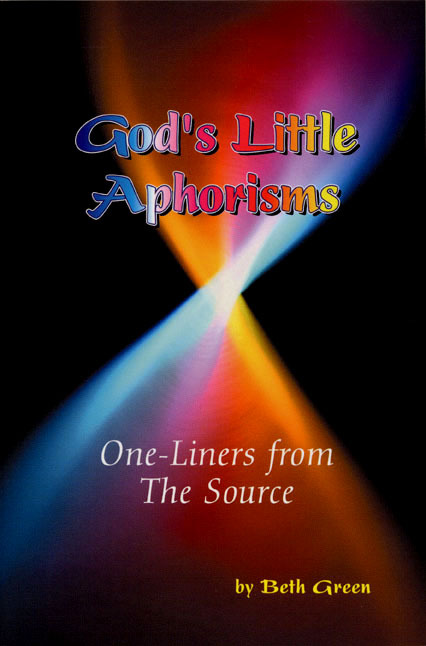 This book posits an evolving God in an evolving universe. 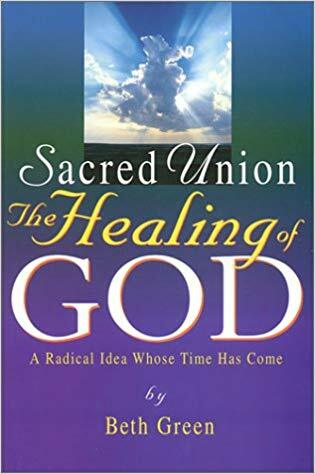 It is a groundbreaking work that describes the evolution of consciousness and brings humanity and God into partnership and co-creation. Written in an entertaining way and full of surprises, you will find this book thought-provoking and yet satisfying. Published in 2002. For more information or to buy now, order online from Amazon.com. A funny, charming little book that packs a punch. Fifty-two zingers from what Beth’s calls “The Source,” with concise and penetrating commentaries. Published in 2005. Great for meditation and reflection. Also a wonderful guide for a weekly book study group. For more information or to buy now, click here to go to Amazon.com. 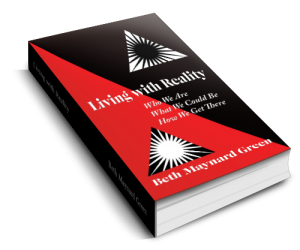 The Living with Reality book is the foundation of a lot of Beth’s work and a handbook for living for anyone. It includes an analysis of the human condition, as well as processes and tools that we can absolutely use to change our lives. It has been the foundation for many people’s evolution and emotional liberation. Written in down-to-earth, understandable language, this book offers self-awareness exercises, plus very specific habits and tools that we can practice and internalize to become more neutral and yet more fully alive. A 688-page volume, this book is great for self-study, and it has been used many times for groups of people who want to work with it together. Available as a free download from this page. Just fill in your email address and you’ll be signed up for our mailing list and get the book as our gift to you, along with a companion video series. Available for purchase at amazon.com. A quick read that is packed with information and help for those of us who want to build a better world. 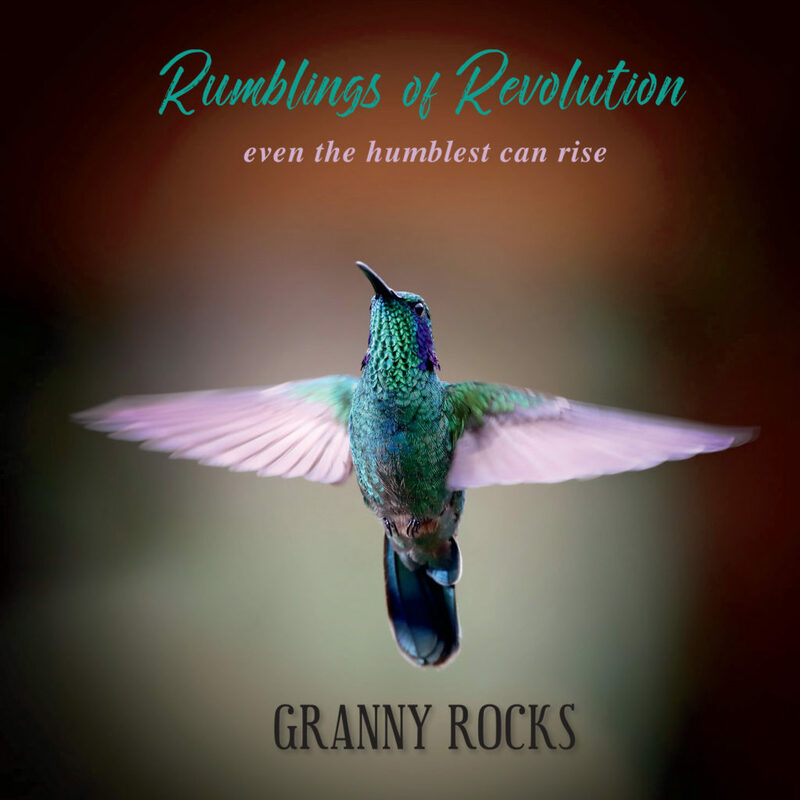 Lots of us want to revolutionize our world, and we’re ready to shake up everything – including ourselves – to achieve it. But how do we do it? How do we co-create change that will stick, that will be healing, deep and transformative on every level? 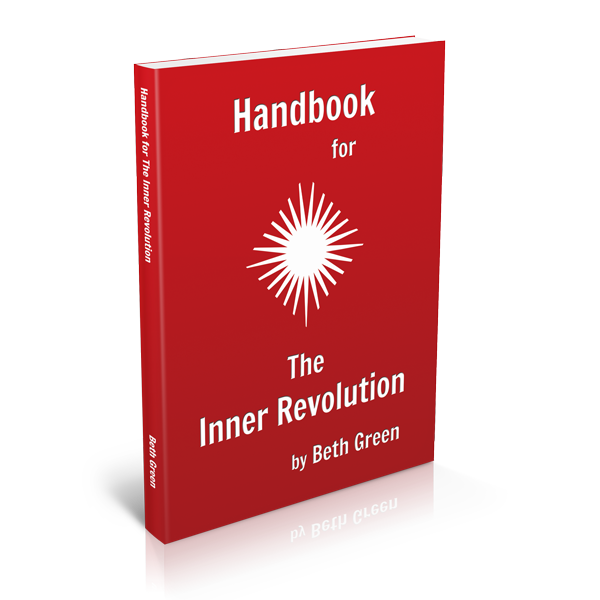 The Handbook for the Inner Revolution might just give us the roadmap we’ve been looking for. Sign up to receive a free PDF version here. For the print and Kindle version, go to Amazon.com.